On Tuesday, 26th June, the Operational Committee of the Europe Commission met for the first time in its capacity as the new body responsible for studying and implementing the resolutions adopted by the Europe Commission and for facilitating links between the working groups. 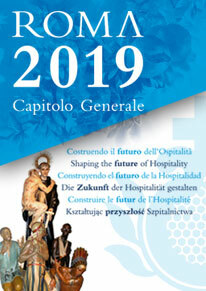 The Committee comprises Brother Rudolf Knopp (President), Brother Alain Samuel Jeancler, Dr. Carlo Galasso (Hospitality Europe), Mr. Ivan Jukić (Austrian Province) and Dr. Giovanni Maria Soro (Lombardy-Veneto Province). At its first meeting, the Committee members discussed various agenda items including the possibility of continuing to run the formation modules for executives of the European Provincial Curias, prospects for collaboration between the Provinces in the fields of social inclusion and accompanying the working groups set up by the Europe Commission. The members of the Operational Committee will meet again after the summer when the Europe Commission meets on 22 September.